Change the look of your motorcycle by adding colored Tusk Spoke Sleeves to your wheels. Constructed of a polyurethane plastic with a smooth slit for easy installation. Each sleeve wraps around the entire spoke to also protect against most impacts. The sleeves are sold in a kit for a front and rear wheelset for up to 21"" fronts and 19"" rears. They can easily be trimmed to fit any wheel smaller in size. 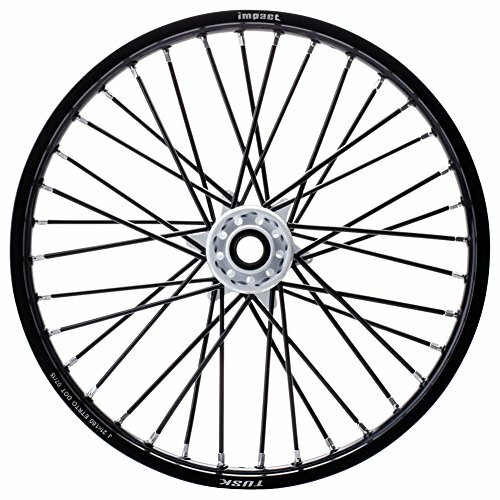 A kit includes 72 spoke covers to complete both wheels. Think Tusk for all of your motorcycle, ATV, and UTV parts and accessories. Colored spoke sleeves that fit securely around motorcycle wheel spokes. Sold in a kit of 72 sleeves to cover both wheels. Sleeves fit any spoked off-road motorcycle wheel up to 21" in diameter. Offered in red, blue, green, black, white, and orange.